Established in 1971, David L J Babey & Son is a family business specialising in the design and manufacture of exclusive traditional and contemporary built-in and freestanding furniture, along with bespoke joinery. Originally a sole trader working out of a garage in Romsey, David passed on his skills to his son Jeff, who joined the business in 1983. Jeff now heads up a small and dedicated team from a well-equipped workshop in Salisbury, and David is still a part-time member of the workforce. Our work has been featured in The Observer, Country Living magazine, and on Channel 4’s Property Ladder. We are members of the Guild of Master Craftsmen and bring a bespoke service from drawing board to completion. 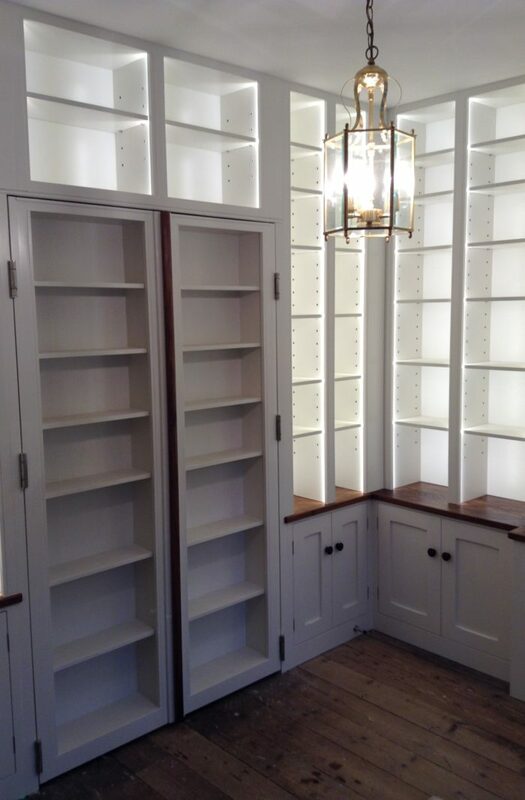 In addition to furniture, we also undertake both internal and external joinery work – windows (including repairs to sash windows), doors and conservatories, as well as wooden flooring, antique restoration and mainstream carpentry. Interested in how we can help you with your bespoke furniture & joinery needs?